Widely regarded as the principal founder of phenomenology, one of the most important movements in twentieth century philosophy, Edmund Husserl’s Ideas is one of his most important works and a classic of twentieth century thought. This Routledge Classics edition of the original translation by W.R. Boyce Gibson includes the introduction to the English edition written by Husserl himself in 1931. Husserl’s early thought conceived of phenomenology – the general study of what appears to conscious experience – in a relatively narrow way, mainly in relation to problems in logic and the theory of knowledge. 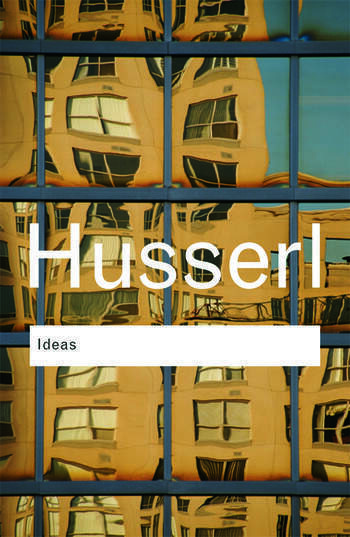 The publication of Ideas in 1913 witnessed a significant and controversial widening of Husserl’s thought, changing the course of phenomenology decisively. Husserl argued that phenomenology was the study of the very nature of what it is to think, "the science of the essence of consciousness" itself. Husserl’s arguments ignited a heated debate regarding the nature of consciousness and experience that has endured throughout the twentieth and continues in the present day. No understanding of twentieth century philosophy is complete without some understanding of Husserl, and his work influenced some of the great philosophers of the twentieth century, such as Martin Heidegger and Jean-Paul Sartre. Edmund Husserl (1859–1938) through his creation of phenomenology, Edmund Husserl was one of the most influential philosophers of our century.